WATERLOO, Neb. (KMTV) — Meet Emery Clark. She's a second grader from Elkhorn. Emery saw that Christian Church of Waterloo was looking for supplies so she decided to give away all of her toys, except for five items. She says other families need the toys more than she does. 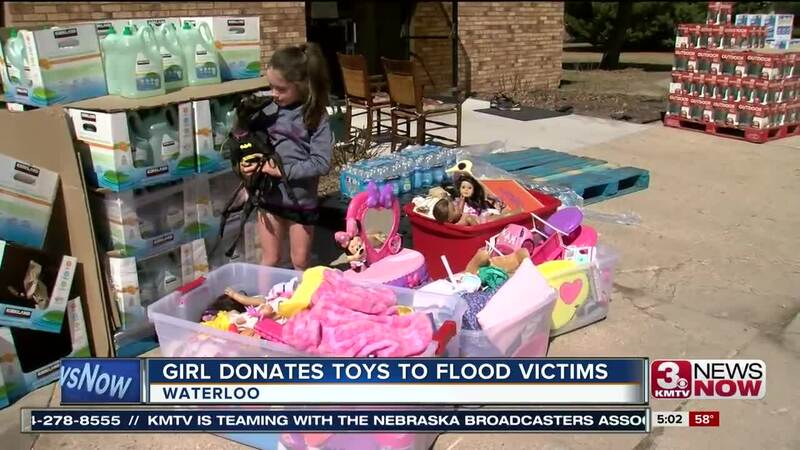 "Because some people they had floods and then they didn't have anymore toys so we wanted to donate them," Clark said. Emery said she's not sad to give away her toys because others need them more than she does.